BILLBOARD BABY! — BENJAMIN HEY! 2 years ago, I was thisclose to giving up my pursuit of music but God had other plans. I would run into people randomly who would ask me about my music. I ran into a friend (Jake Barker - The Voice Finalist) and he shared with me his idea for a 30 day songwriting challenge. I signed up with him and wound up writing 24 songs in the 30 days period. That challenge led me to LA to produce some of those songs with my long-time collaborator/producer Jonny On The Rocks. That led to multiple trips, more songs and a hunger that grew and grew. I re-invested in my music passion and started creating a bi-coastal life working hard in NYC then heading out to LA for short stints. The longest was for 30days in June/July 2017. During this longer stint, I caught up with a dear friend and one of my biggest supporters, the powerhouse actress/activist/trailblazer....Laverne Cox. 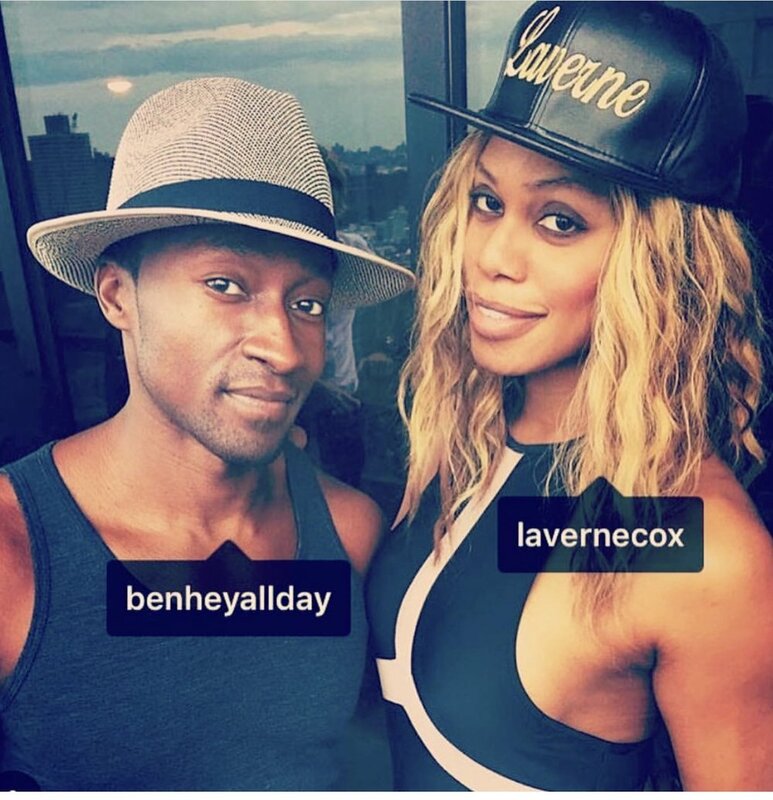 I let Laverne sample some of the music I had been working on. While listening she shared with me that she had an idea for a song titled Beat For The Gods. I was confident that I could make this idea a reality so I asked her if she was willing to come to the studio where I record and lay something down. 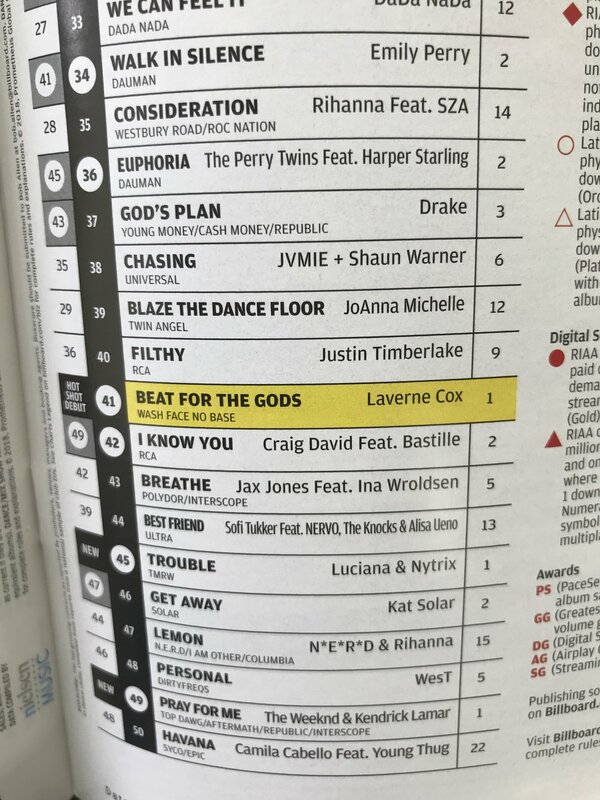 What we came up with is now on the Billboard Clubplay Chart. (Hot Shot Debut #41 as of Mar 31st.) I can now say that I’m a Billboard songwriter. Wow! This is the first in what I believe of many charting songs to come. My ultimate dream is garnering a Billboard Hot 100 #1 song credit as an artist and songwriter. I truly believe I was born to do this and I’m so grateful that I have support and encouragement from many. This is just the beginning. Hey!